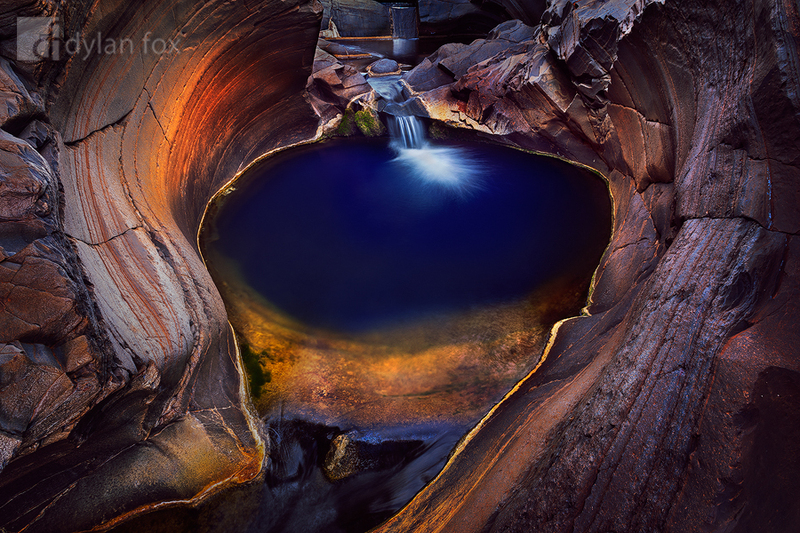 Hammersley Gorge is one of my favourite places to photograph in Karijini National Park. It is an hours drive from most of the other gorges however it is unique. The rock formations are unique as well as their colours and textures. This is one of the smooth rock pools carve out of the otherwise rough gorge surface. I just think this place is spectacular. Secure your limited edition, Karijini print, 'In My Heart', by selecting your desired print size in the menu to the right.